Khloe Kardashian has admitted that her pregnancy is ''physically and mentally trying'' but praised Tristan Thompson for making everything ''as easy and beautiful as it can be''. Khloe Kardashian's pregnancy is ''physically and mentally trying''. 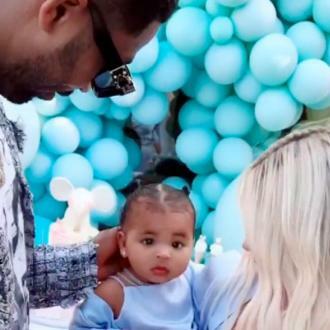 The 'Keeping Up With The Kardashians' star is expecting her first child with her partner Tristan Thompson and admits the whole process is very tough for her but praised the sportsman for making everything ''as easy and beautiful as it can be''. And the 33-year-old television personality also revealed it was Tristan who twigged she was pregnant first. Meanwhile, it was previously revealed that Khloe is set to give birth in Cleveland.